In 1694, a group of new colonists from Mexico City arrived in Santa Fe. They were described as "Españoles Mexicanos" because most were people of the Spanish class who were natives of the Mexico City area. The Spanish had first come to the Valley of Mexico with the conquest of 1521. By 1694, the ancestors of these "Españoles Mexicanos" had been living as part of New Spain in central Mexico for over 170 years. Eleven of the households were headed by men who had been born in the Iberian Peninsula. Even though they were of mixed heritage, all were classified as members of the "español" caste. The new settlers heading for New Mexico were young, relatively poor tradesmen. 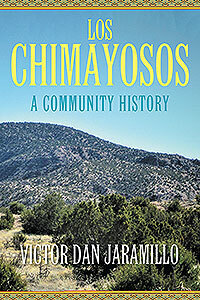 Victor Dan Jaramillo is a resident of Chimayó and a descendant of its original settlers. His interest in the history and culture of his native land began at a very young age. His extensive collection of research, oral histories and photographs has brought him to this point. 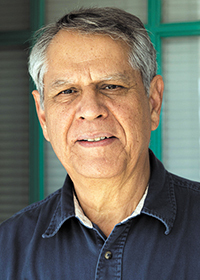 Dan is a founding member of the Chimayó Cultural Preservation Association and the curator of the Chimayó Museum.